Clouded leopards were known to historically exist on the island of Taiwan according to records dating from the 13th century. In the 19th and early 20th centuries there was a thriving trade in clouded leopard pelts being brought from Taiwan’s mountainous interior. Today, however, clouded leopards are widely considered to be extinct on the island. Despite this consensus, unconfirmed rumors of sightings persist and some people still believe that clouded leopards may have been able to cling to existence in Taiwan’s rugged wilderness areas. With new wildlife protection laws, many of Taiwan’s large mammals are now recovering after years of overhunting and habitat destruction. Today there is renewed interest in the status of the clouded leopard in Taiwan, commonly known as the Formosan clouded leopard although DNA studies indicate it is genetically the same as the mainland species, Neofelis nebulosa. 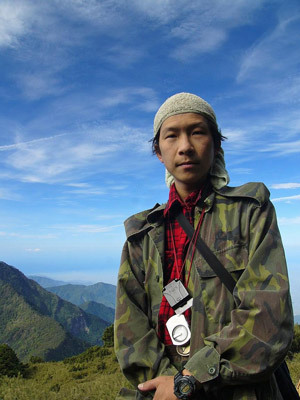 Researcher Po-Jen Chiang from the National Taiwan University and his team conducted an exhaustive study from 2001-2004 looking for signs of clouded leopards and surveying the wildlife in the Dawu Mountain wilderness. The study provided no evidence of clouded leopards, but documented increasing amounts of other wildlife such as deer, wild pigs, monkeys, and small carnivores. Because of increased wildlife protection in Taiwan and rebounding populations of potential clouded leopard prey, scientists are now exploring the idea of a reintroduction program for the clouded leopard on Taiwan. This idea is highly controversial since it is unclear where source animals would come from, if they could survive reintroduction, if there is enough suitable lowland habitat to support a self-sustaining population, and if the social climate would support re-introduction of a predator. For more information on the history and possible reintroduction of the Formosan clouded leopard see this article by Timothy Ferry in the Taiwan Review In Search of Taiwan’s Clouded Leopard. 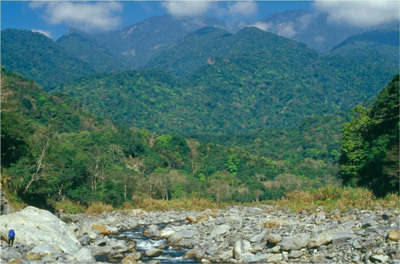 Ecology and conservation of Formosan clouded leopard, its prey, and other sympatric carnivores in southern Taiwan.